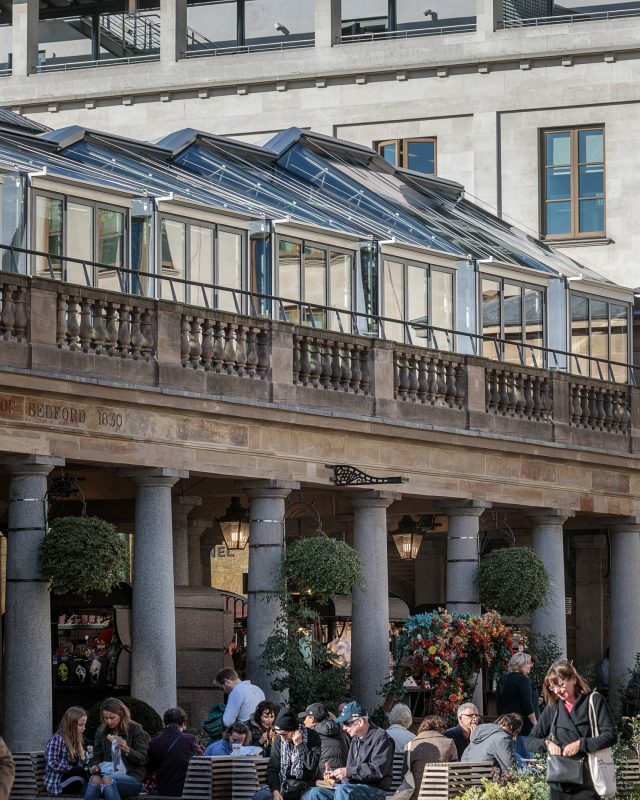 Diners at a new rooftop restaurant located in one of London’s most historic sites can enjoy comfort whatever the weather, thanks to an innovative external shading system designed and manufactured by bespoke blind specialists Guthrie Douglas. 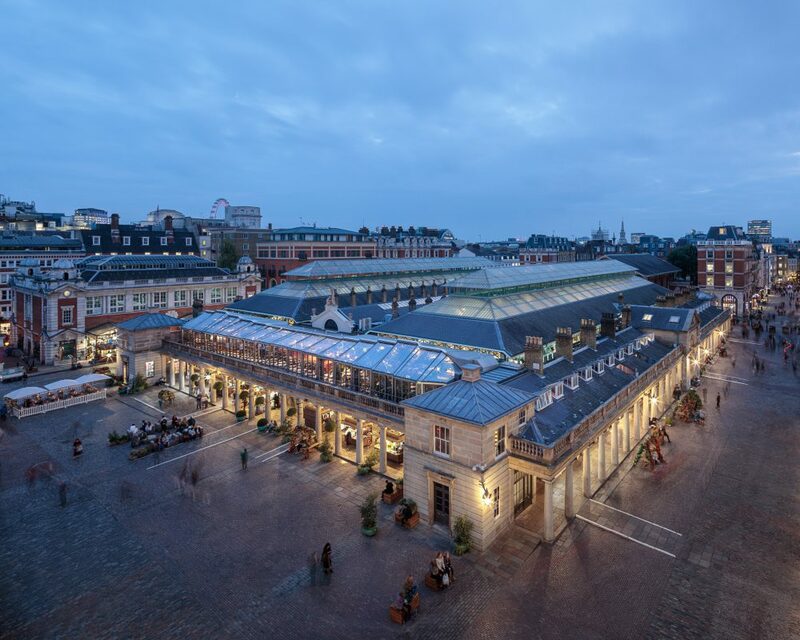 Eric Parry Architects designed a clear glass roof, which hovers over the grade I listed Opera Terrace in Covent Garden, enfolding a restaurant and bar area, whilst still allowing access to the sky and views out onto the square below. 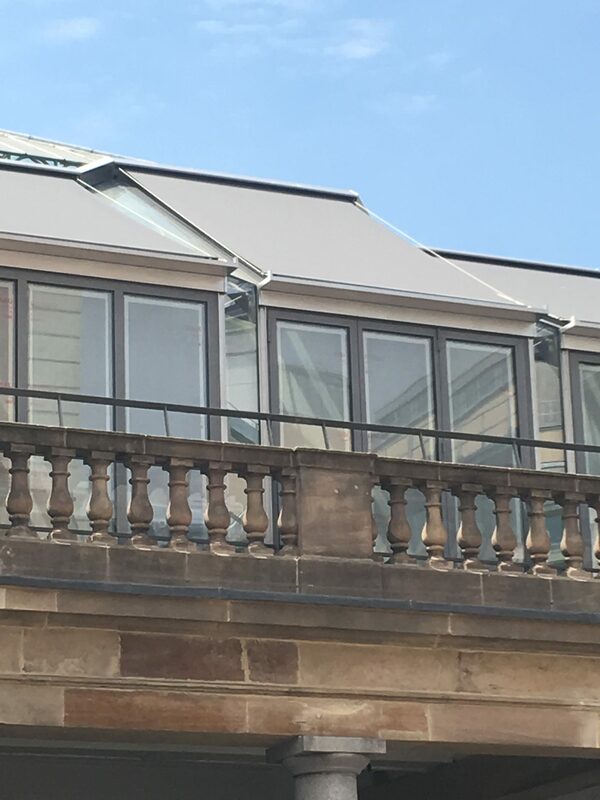 Whilst blinds were a necessity to reduce heat and glare, the architects did not want a typical bulky shading solution such as awning boxes or aluminium side rails to interfere with the aesthetic quality of the roof design when the blinds are not needed, and a shading solution was required which could work equally well across the variety of glazing angles in the roof design. 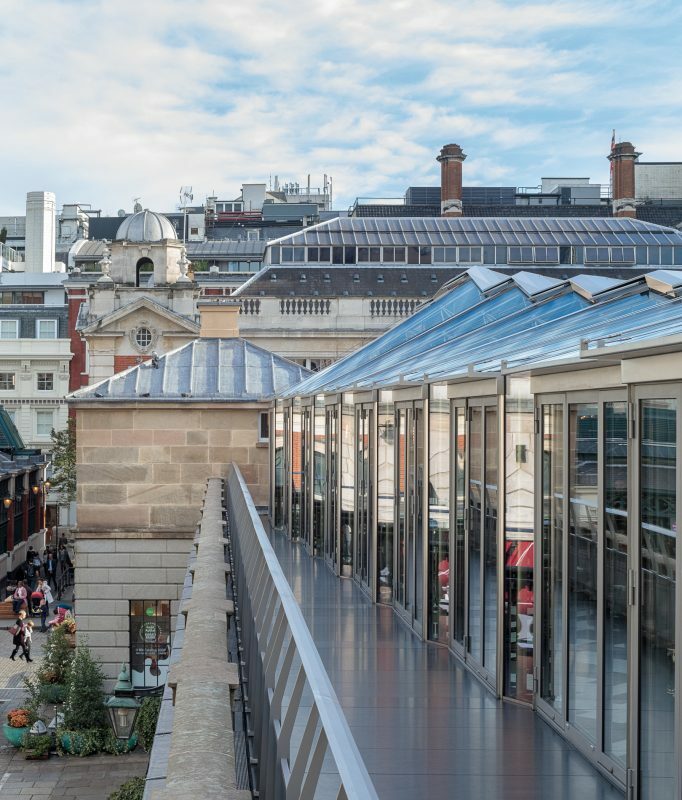 Guthrie Douglas worked with specialist Swiss metal façade contractor Tuchschmid to integrate external tension blinds into the roof structure, hiding a tensioned roller mechanism within the steel apex of the roof, and guiding the shading system along discrete stainless steel wire guides, almost invisible when the systems are retracted. The system works automatically using a smart control system, triggered by an external weather station which deploys and retracts the blinds based on sun, wind and rain sensor data. 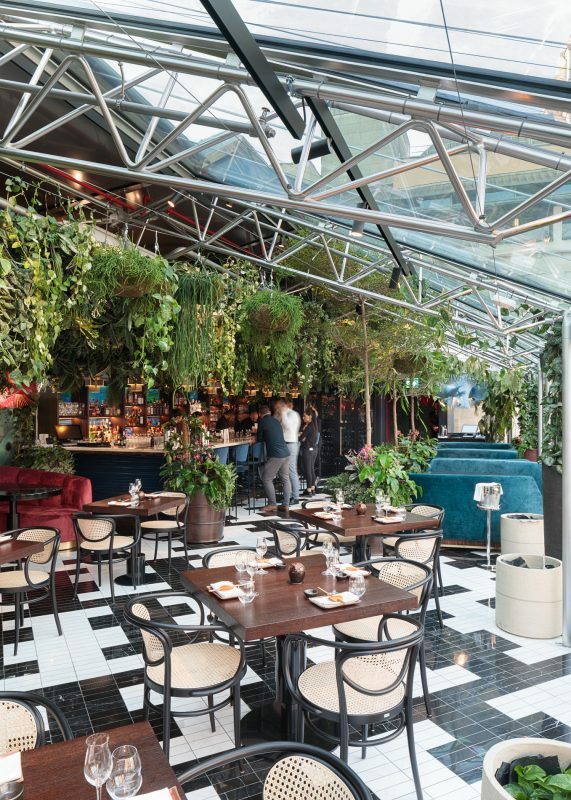 Thanks to the inherent strength and versatility of the tension mechanism in Guthrie Douglas products, they have been specified externally in challenging climates such as the Middle East and Scandinavia for decades. A concealed torsion spring and aircraft grade tension cable hold fabric tight even in extreme temperatures and strong winds, meeting stringent European Norms. 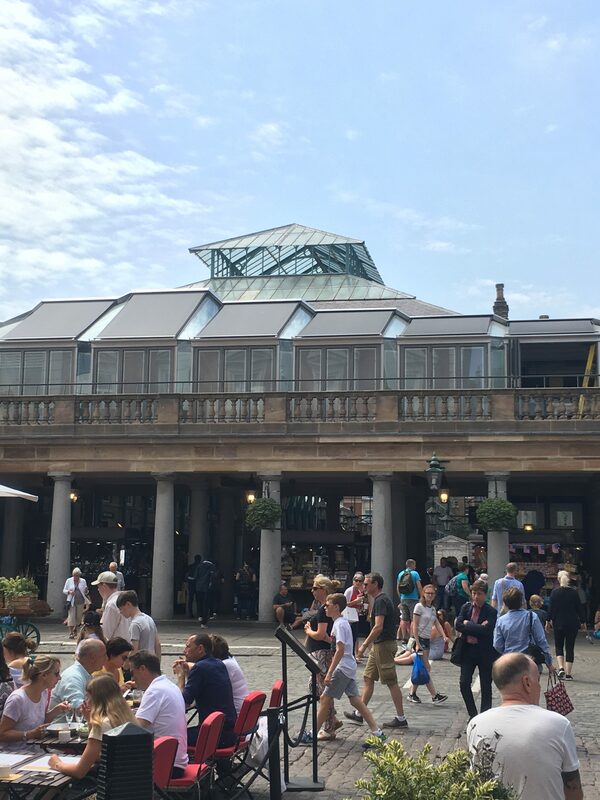 Robust testing and a long track-record of successfully delivered external shading projects in prominent locations such as Covent Garden give designers confidence in specifying external shading systems without fears around maintenance and durability.